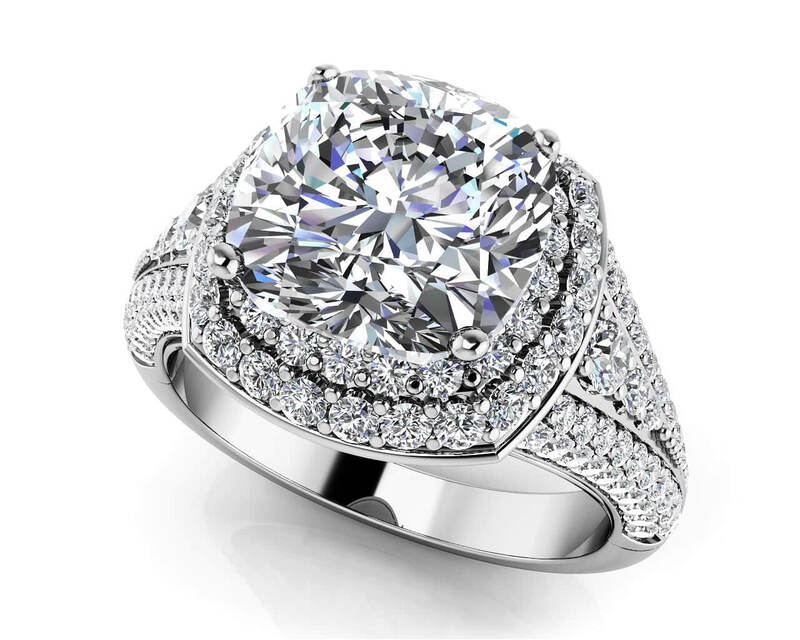 A show-stopping array of diamonds will take her breath away with this stunning ring. The brilliant cushion cut diamond is perfectly centered amongst a double halo of icy round diamonds. 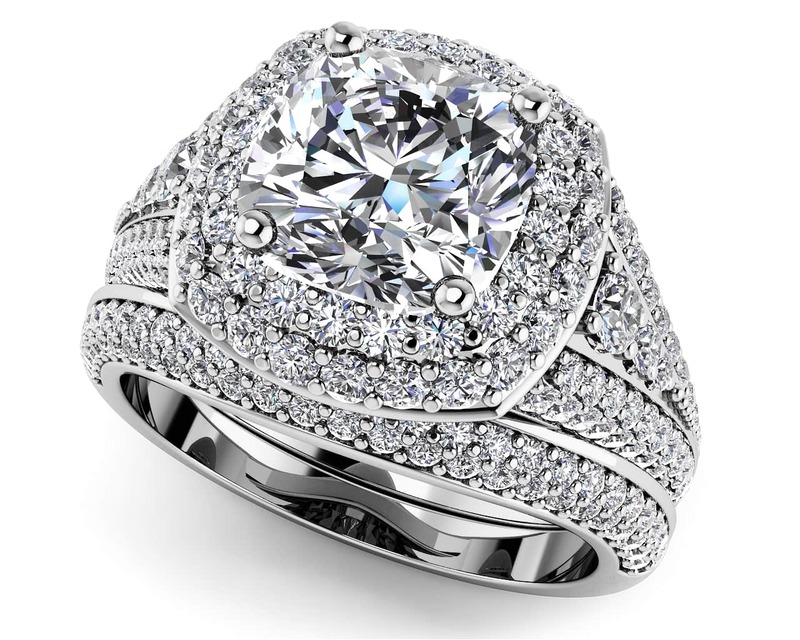 The diamonds continue in a tapering pattern along the sides of the band to form a lasting legacy of sparkling radiance. A matching diamond band fits effortlessly beside the engagement ring for the perfect set. 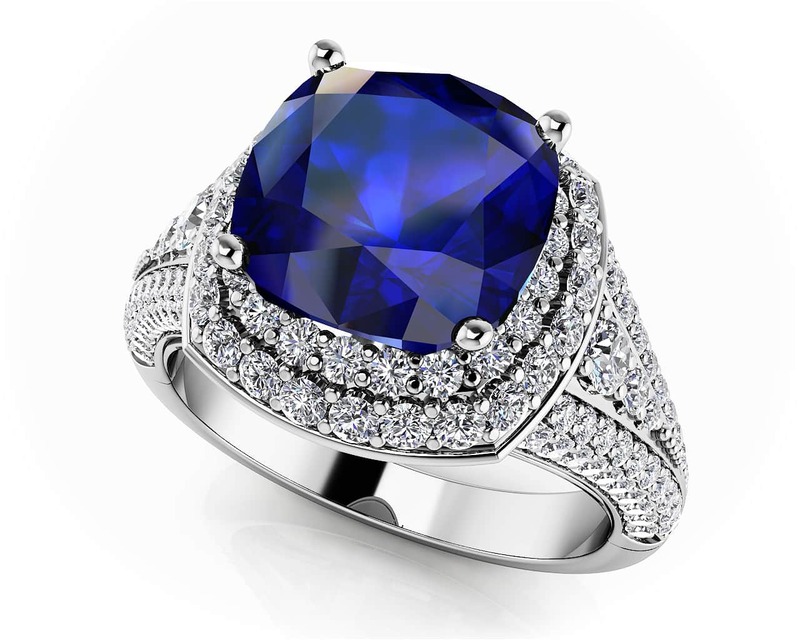 Available in several carat weights in your choice of gold or platinum setting. Stone Carat Weight: 100X.005 ct., 16X.007 ct., 20X.010 ct., 2X.013 ct., 2X.041 ct.